Having a more relaxed schedule can sometimes mean that nothing gets accomplished over the course of a day. We start to adopt an attitude of, “I’ll do it tomorrow,” but in the mean time we are falling into bad habits & way too much screen time. So this summer, I wanted to come up with a solution that felt like a middle ground between no schedules & too much rigidity. 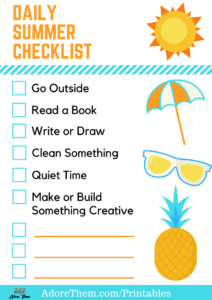 And that solution is this printable checklist! I took some time to brainstorm what I wanted on my list. 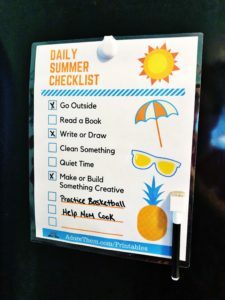 I didn’t want the list to feel overwhelming (because then we simply wouldn’t do it), & I didn’t want the list to be too specific (because summer is all about going with the flow). The six simple things that are on the list can essentially be done anytime throughout the day at various locations! There are not certain times for certain activities or certain limits, & my boys can make a lot of their own decisions throughout the day. 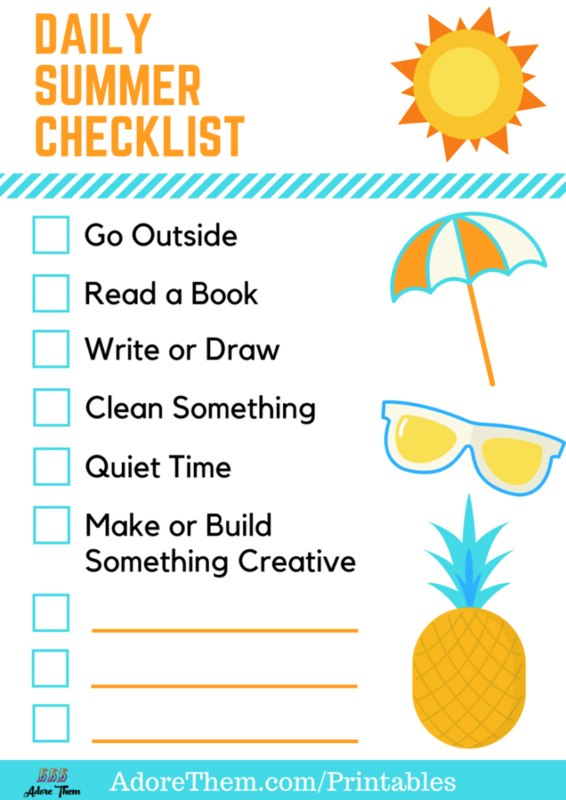 They can choose which books they want to read, what they want to draw/color/write, what they want to clean up, what they want to build (legos, blocks, or even glue scrap pieces of paper together), what they want to do during quiet time, & what they want to play when they go outside! I also included those three blank spots that we can fill in & change from day to day or kid to kid. But if you don’t want to get a laminator, then you can also grab an 8×10 frame from the Dollar Tree to make this printable reusable! 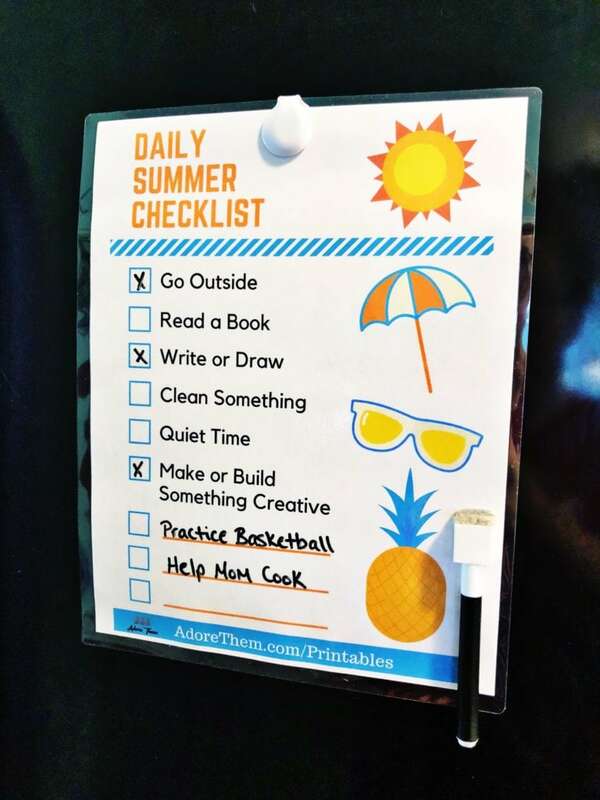 After laminating our daily summer checklists, I hung them on the fridge. They are highly visible & easy to grab! A cheap, magnetic dry erase marker is on the fridge too so that the boys can check off their lists as they go throughout the day. I don’t care if they do their whole list first thing in the morning or if it takes them all day – that’s up to them! I just want to make sure that we’re not leaving out the important, enriching activities that will help them learn & grow.